So help me out now ’cause I’m digging for treasure. Monday 23rd July. 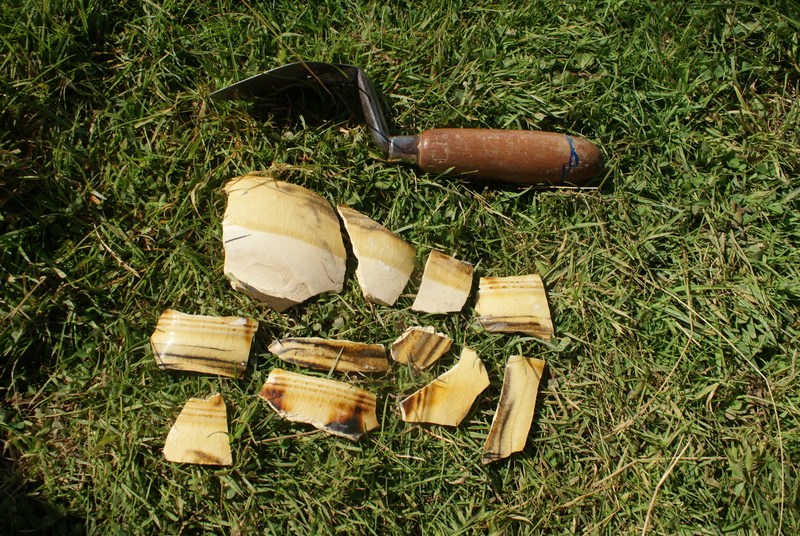 Although we do dig for treasure it is not in a form that most people think; our treasure is a ditch with a piece of pottery at the bottom, or a waterlogged deposit at the bottom of an old lake which holds pollen which can tell us about the plants which were grown in an area in the past. And our treasure today included pieces of a tea cup with some concretions within. 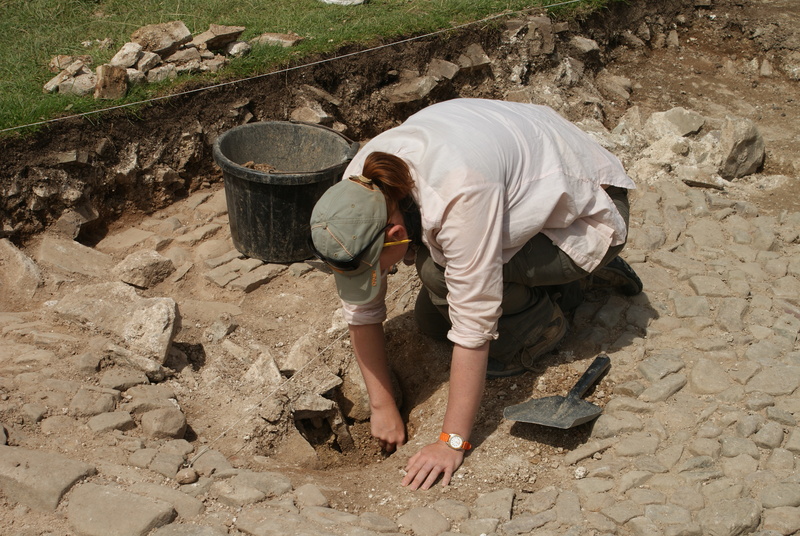 Today we continued to remove soil from the north end of the robber trench and some more cobbles were uncovered. 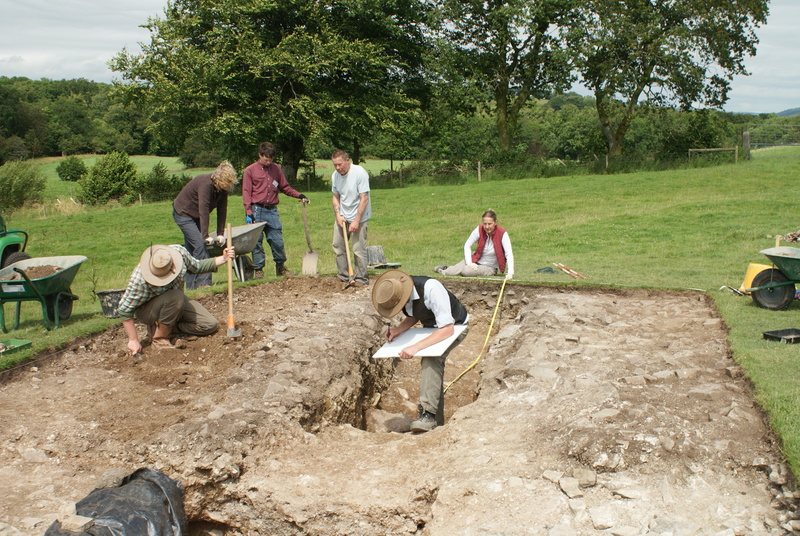 They seem to extend to the very end of the trench. Volunteers working hard removing more of the upper layer of rubble in the hopes of finding continued cobbling. Much hard work was put in to keep removing more soil from both the extended area of the trench and the north end of the robber trench and this kept us occupied for the majority of the day. We did, however, see some fantastic cloud formations, though we’re not sure how they were formed. 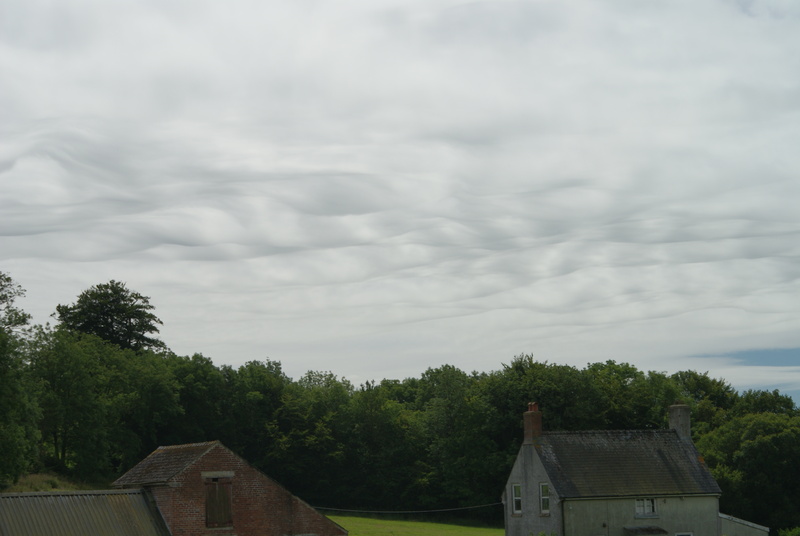 Can anyone tell us what’s going on with the clouds in the picture below? Nothing to do with archaeology, but fascinating none the less!